At Midwest Orthopaedics at Rush (MOR) Sports Performance Center, our goal is to bridge the gap between sports medicine and sports performance. 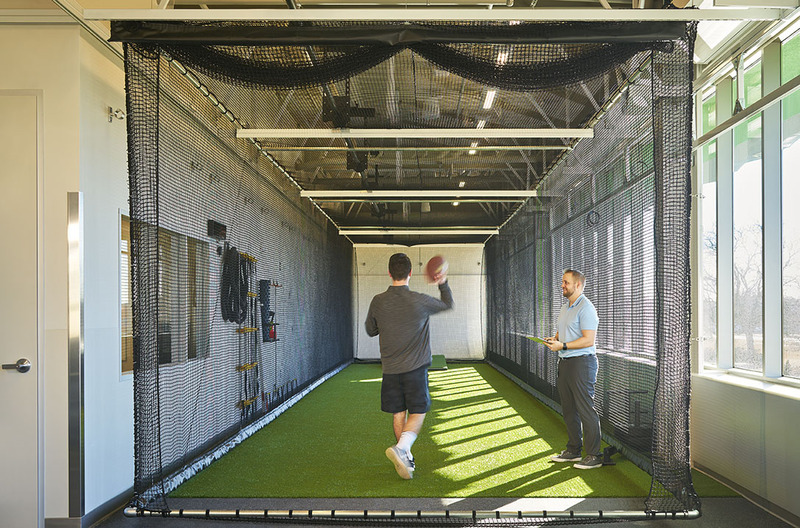 Using evidence-based methods and the world’s best equipment at our state-of-the-art facility, we are helping athletes of all levels transition from injury to a confident return to their sport. Our programs don't just get you back to activity, they also enhance performance - building strength, improving agility, addressing injury risk factors, and bolstering confidence for athletes returning to sport. Our team has extensive experience working with athletes from the professional teams like the Chicago Bulls, Chicago White Sox and Chicago Fire as well as little leaguers and club soccer teams. We believe all athletes deserve access to effective strength and conditioning programming derived from medically sound foundations. Already have a Sports Performance Account? Schedule your sessions here or via our iOS and Android apps! If you would like to request more information about any of the available services, simply fill out the form below or call us at 708-492-5630 and a member of our team will reach out to you as soon as possible.